We would like to welcome our newest volunteer, Selam Ogbalidet. Selam, an Ottawa native, is currently a first-year medical student at the University of Ottawa Faculty of Medicine. Her clinical and research interests lie in plastic and reconstructive surgery. 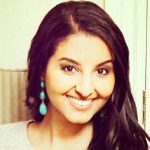 Selam is eager to join the Be The Choice team to learn about the personal narratives of women who have been diagnosed with breast cancer and how medical trainees can better assist them throughout their breast cancer journey. With this newfound knowledge, Selam hopes to ultimately empower patients with breast cancer while educating their loved ones and members of their care team in the process.